Award Winner: Case IH has added to its trophy cabinet after the Magnum 380 CVT was named Machine of the Year at SIMA in Paris. Following the “Tractor of the Year” award at EIMA in Bologna last year, the Case IH Magnum 380 CVT has now been awarded “Machine of the Year 2015” at SIMA in Paris. “This double success makes us proud indeed: it rarely happens that one machine is awarded these two prizes in a direct row”, said Andreas Klauser, Brand President Case IH, at the award ceremony at SIMA yesterday evening. ​“Machine of the Year” is a prestigious award recognising outstanding technological achievements in agricultural engineering. Initiated in 1997, “Machine of the Year” is a prestigious award recognising outstanding technological achievements in agricultural engineering. The 2015 award-winning Magnum 380 CVT (which is called ‘CVX’ in Europe) was judged by 19 independent agricultural journalists from trade magazines in different European countries. 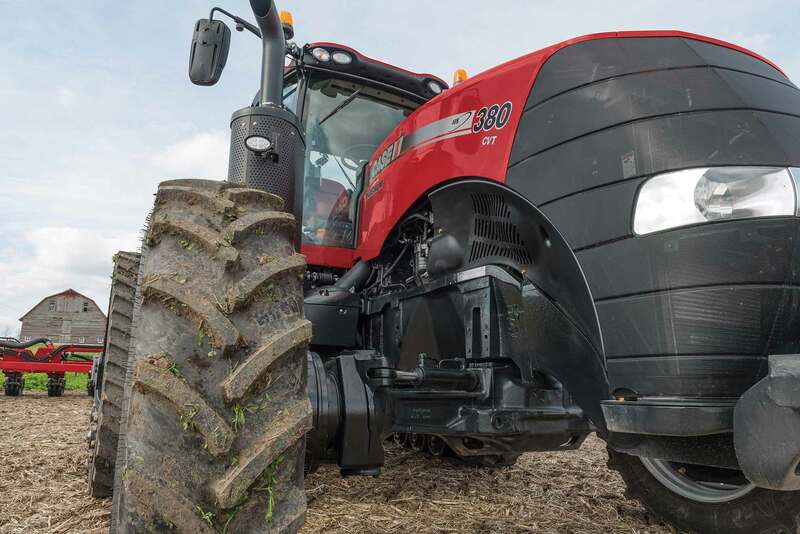 The list of innovative products included 94 entries in 17 different categories, with the Case IH Magnum 380 CVT being distinguished in the 280 to 400hp segment. First launched in 1987, the Magnum Series has undergone continuous improvement, further increasing performance and productivity, reducing fuel consumption, improving operator comfort and thus optimising owners’ return on investment. The new Magnum 380 CVT features constant variable transmission, easy to use multi-controller handle, a new LED lighting packages and of course the innovative “Rowtrac” option which provides the track advantage of power to the ground but with markedly less soil disturbance than seen with other tracked tractors.